Meet the bestselling author of the Chloe Ellefson Mysteries, Wisconsin author Kathleen Ernst. The first book is set in Old World Wisconsin. 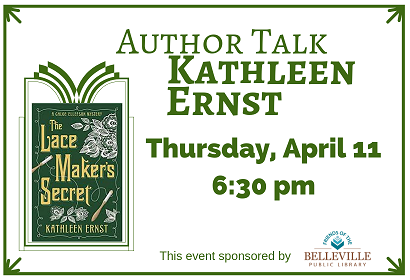 Sponsored by the Friends of the Belleville Public Library as part of National Library Week.